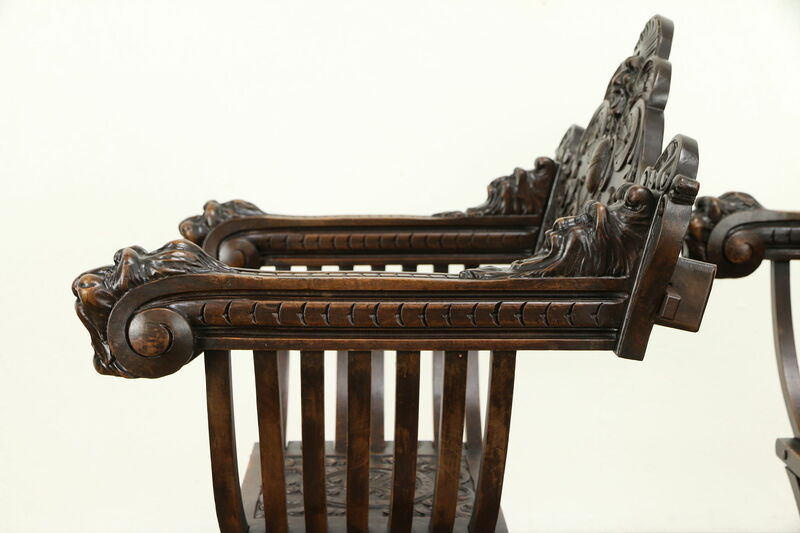 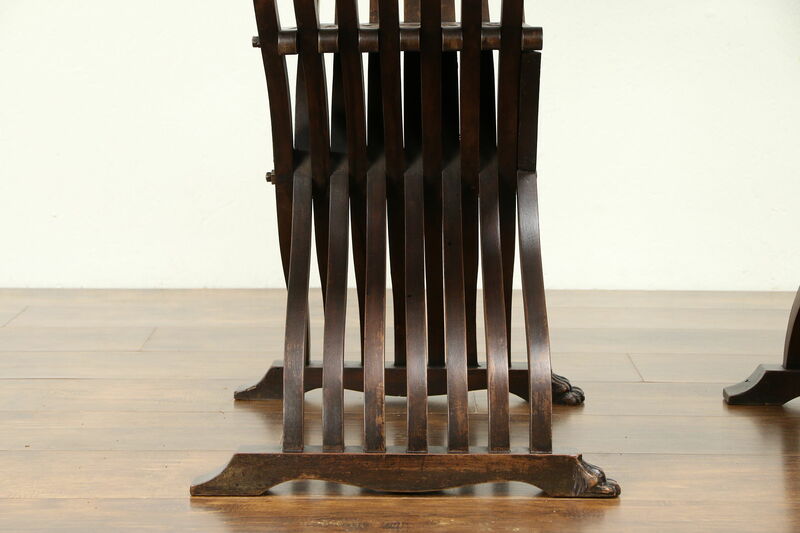 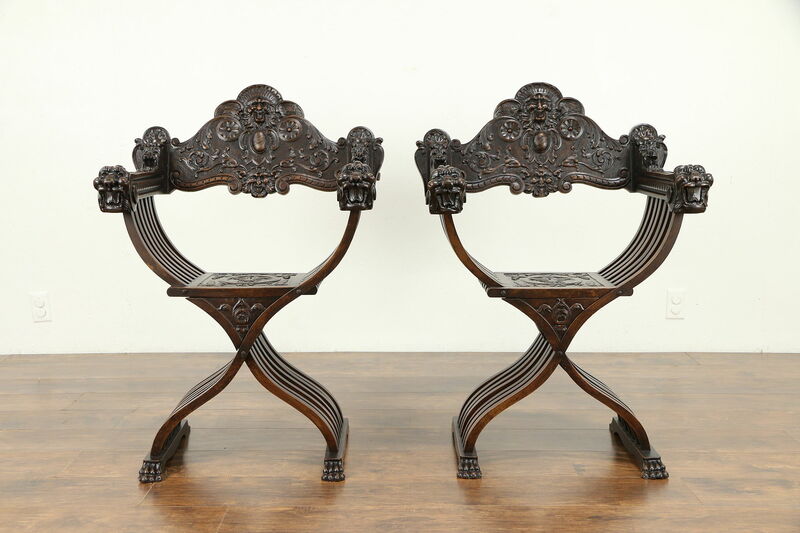 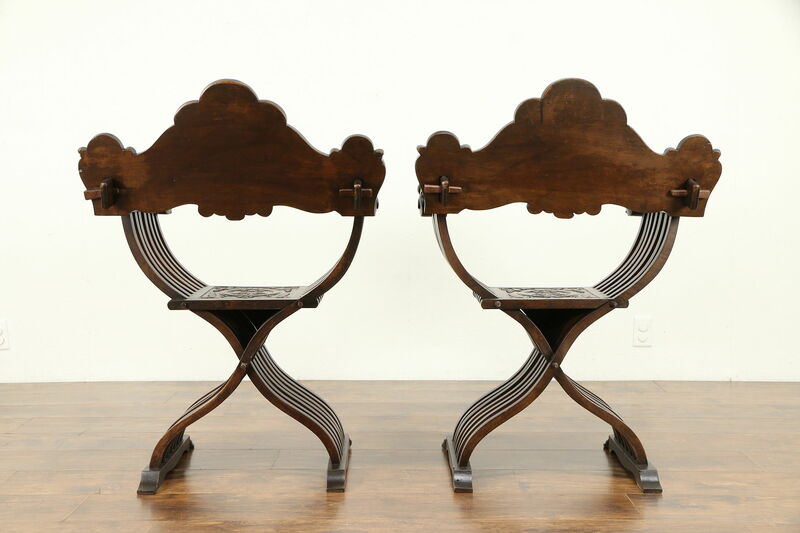 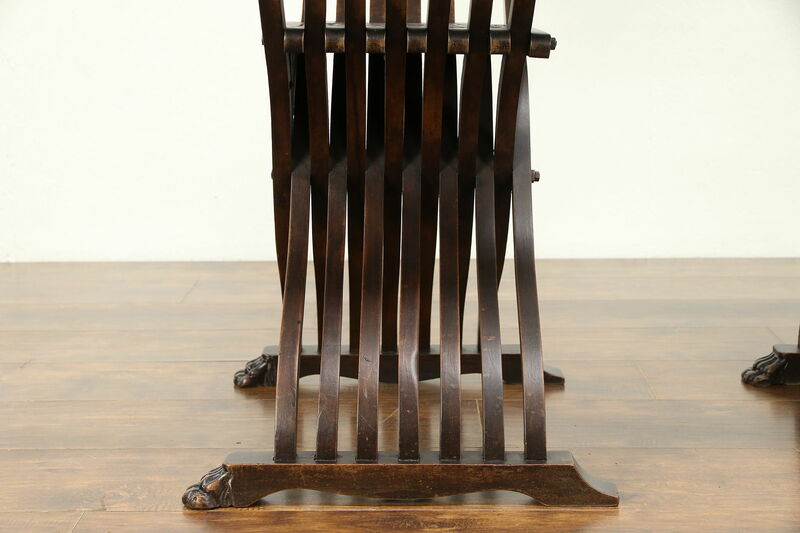 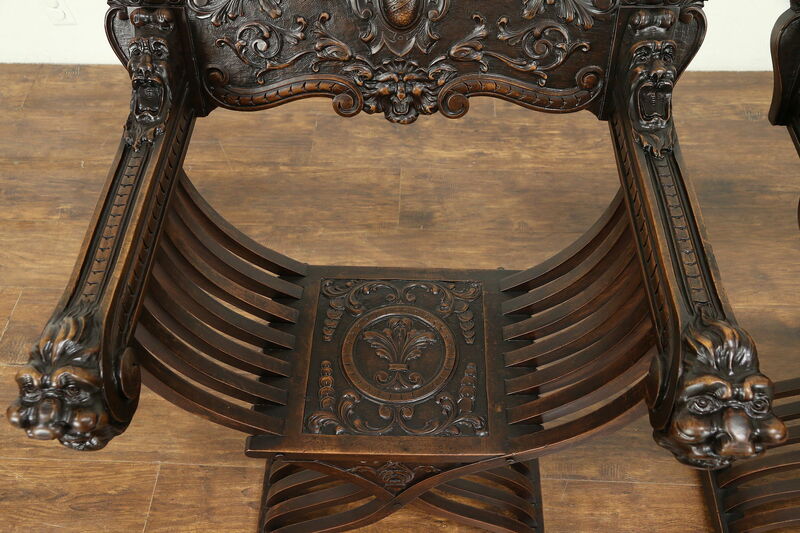 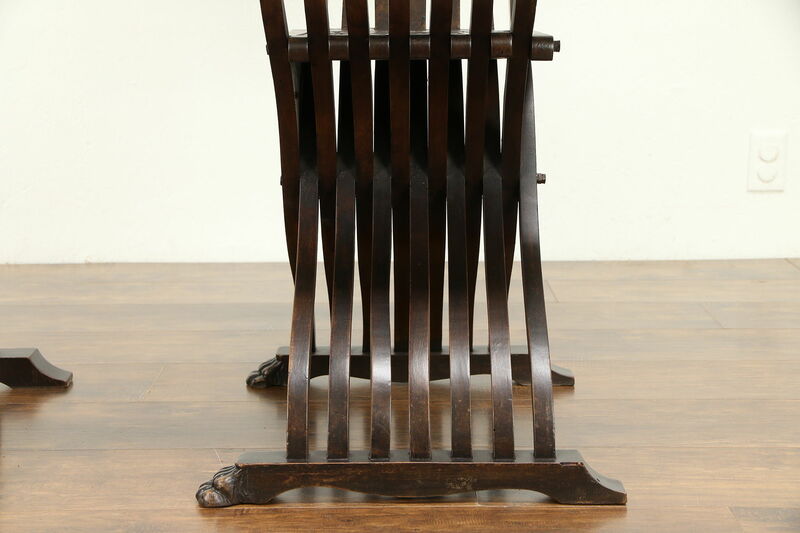 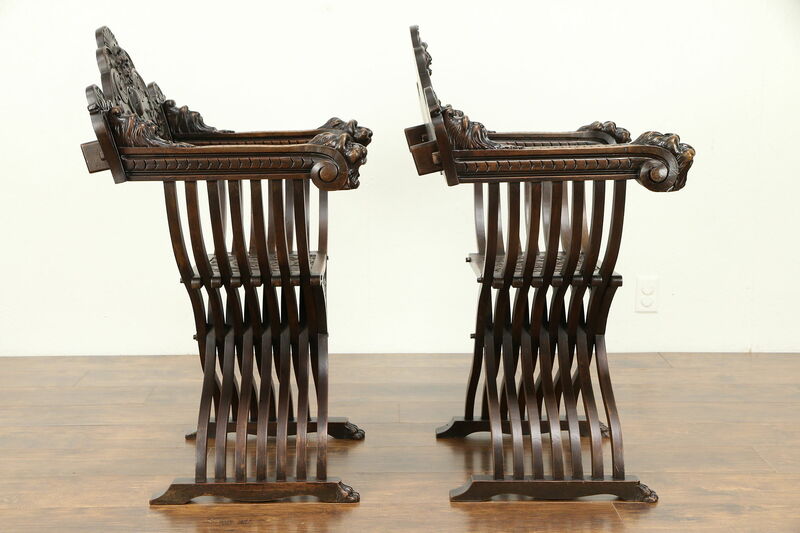 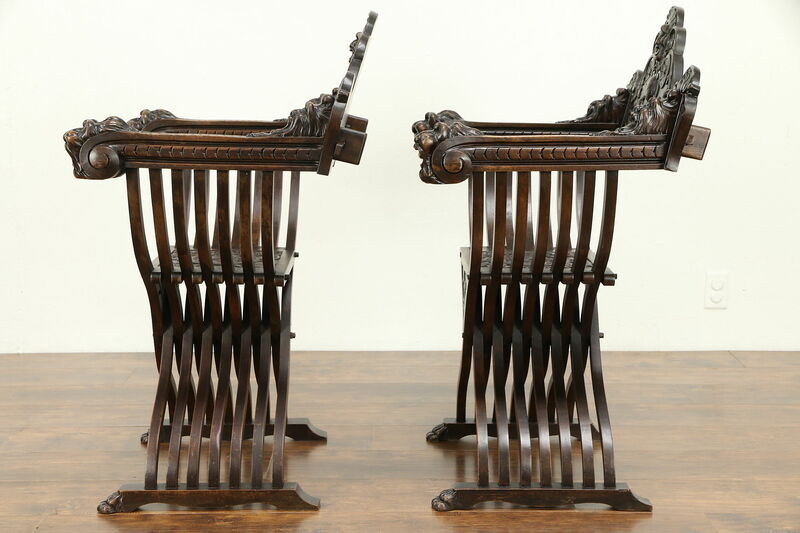 A spectacular pair of classic Italian "Savonarola" chairs are named after the fiery monk of Renaissance Florence, who railed against the profligacy of the wealthy city. 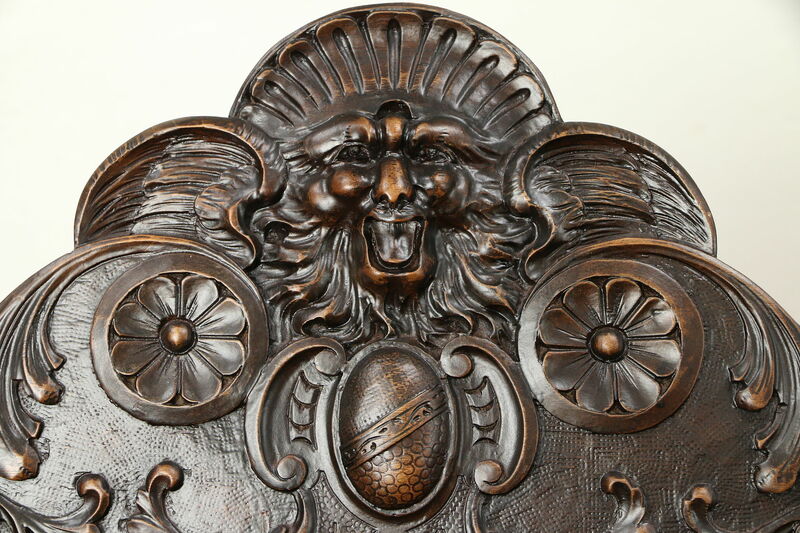 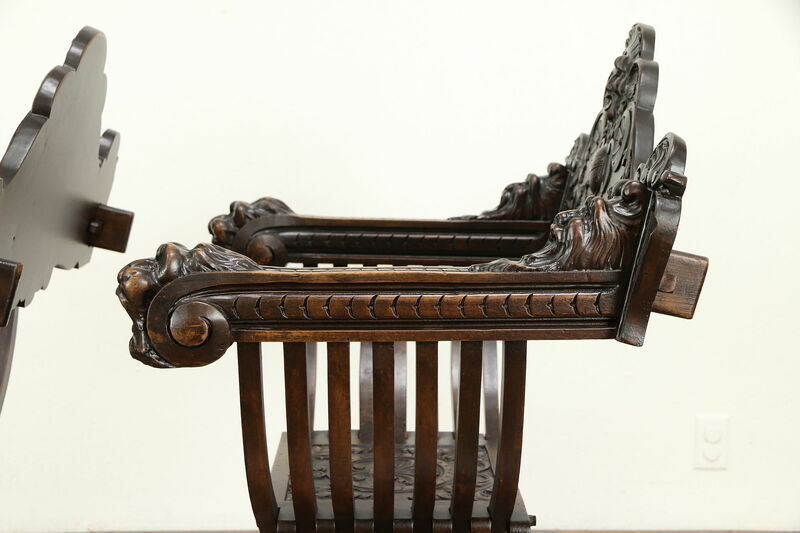 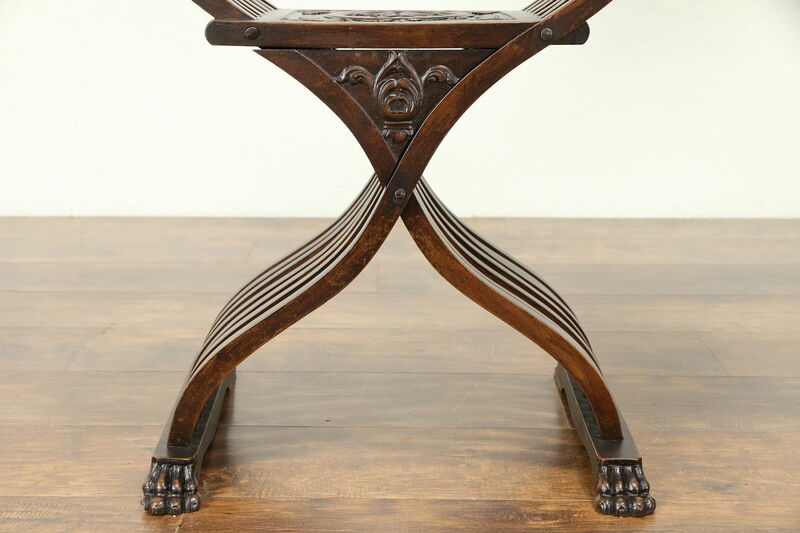 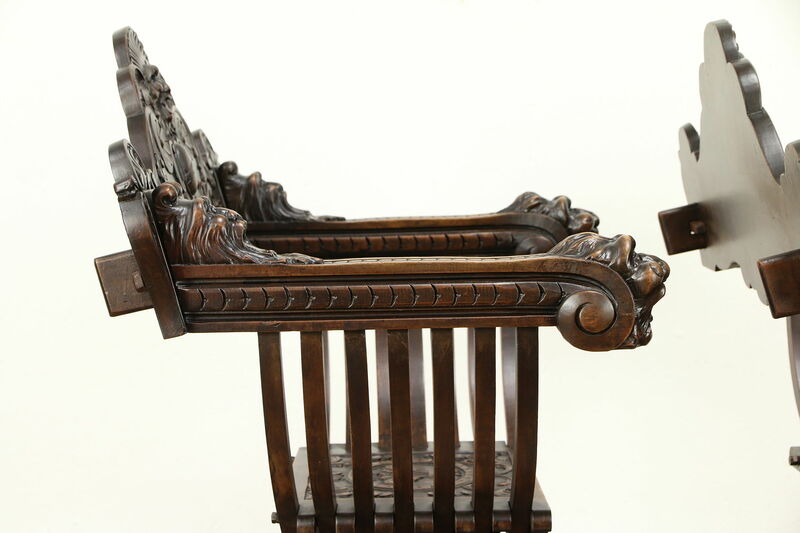 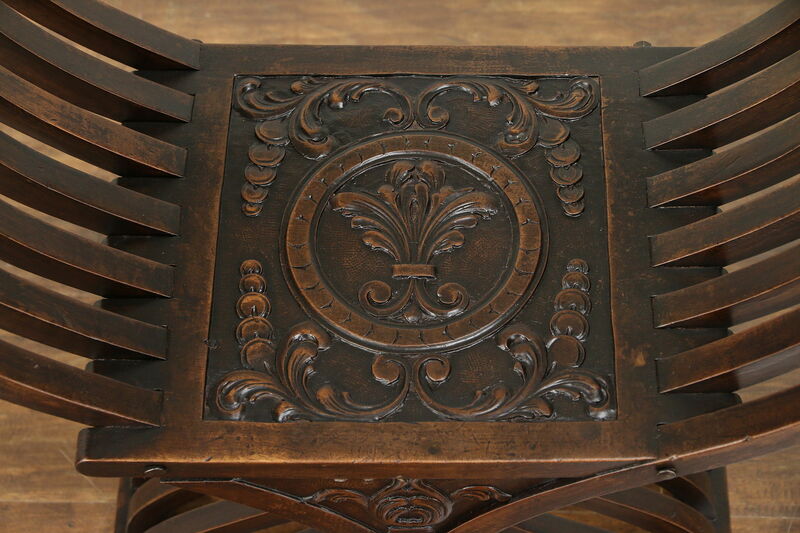 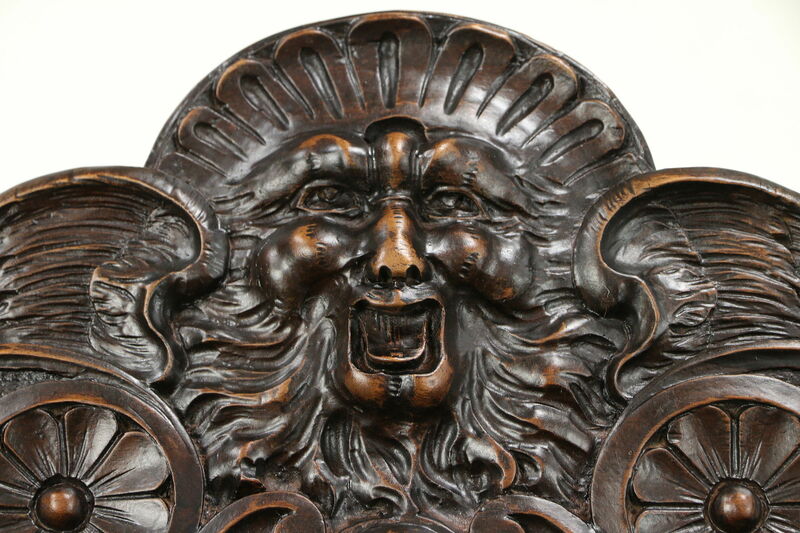 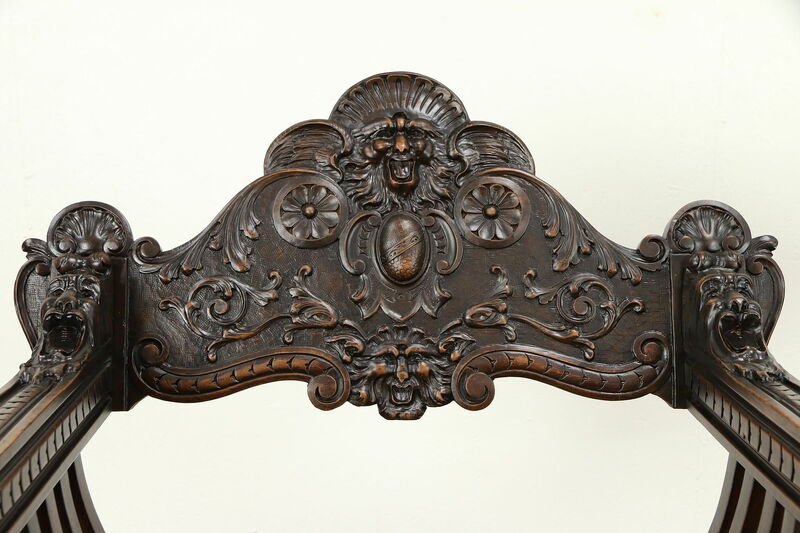 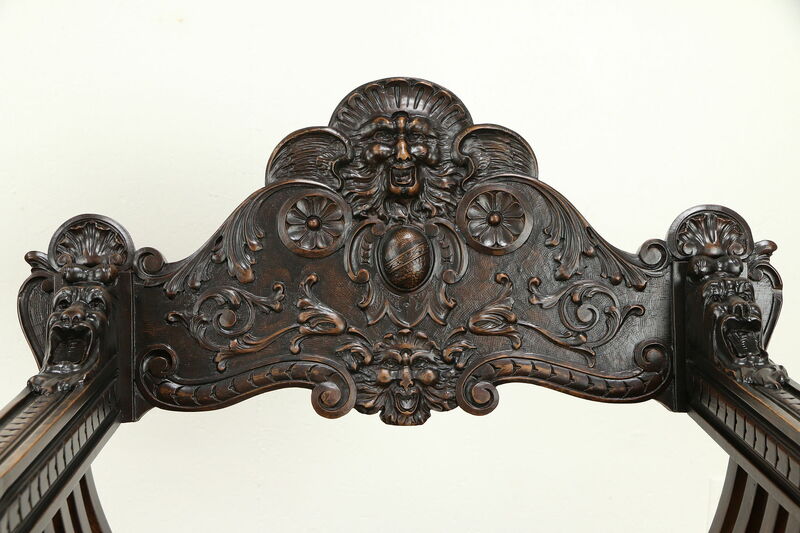 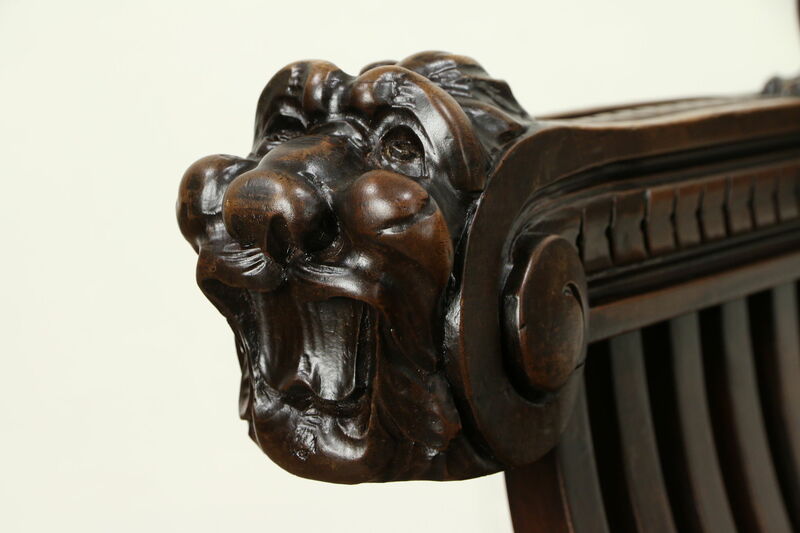 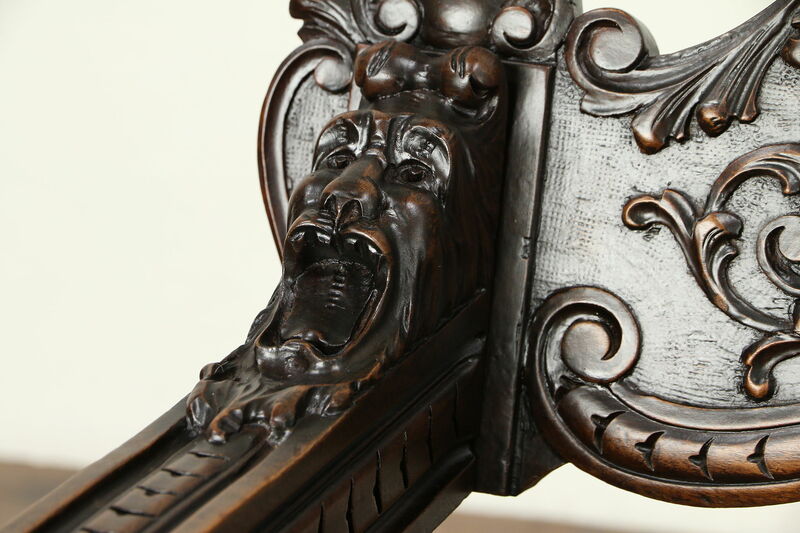 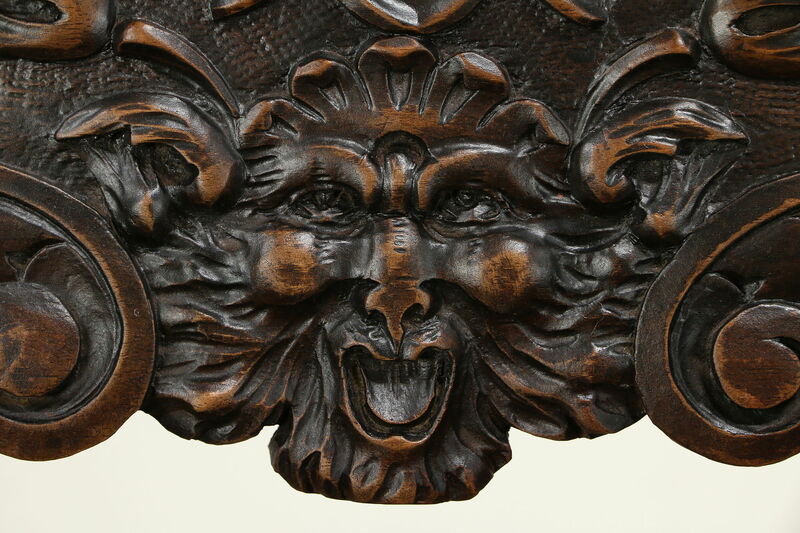 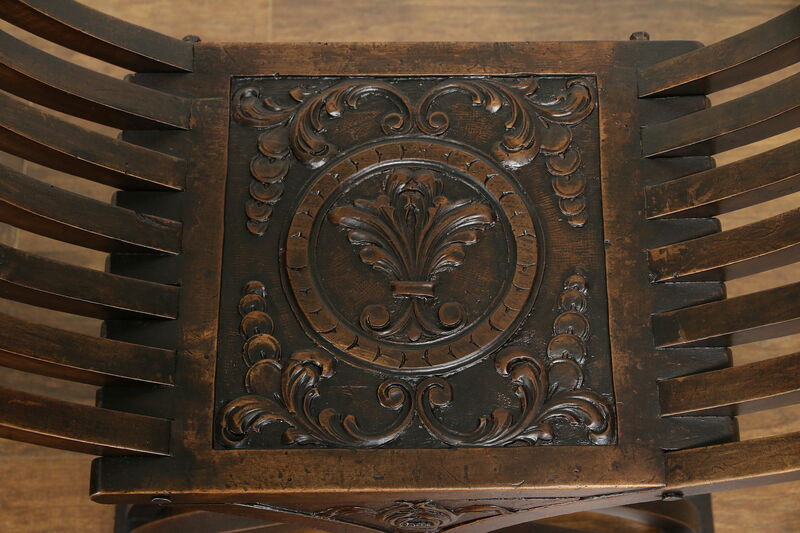 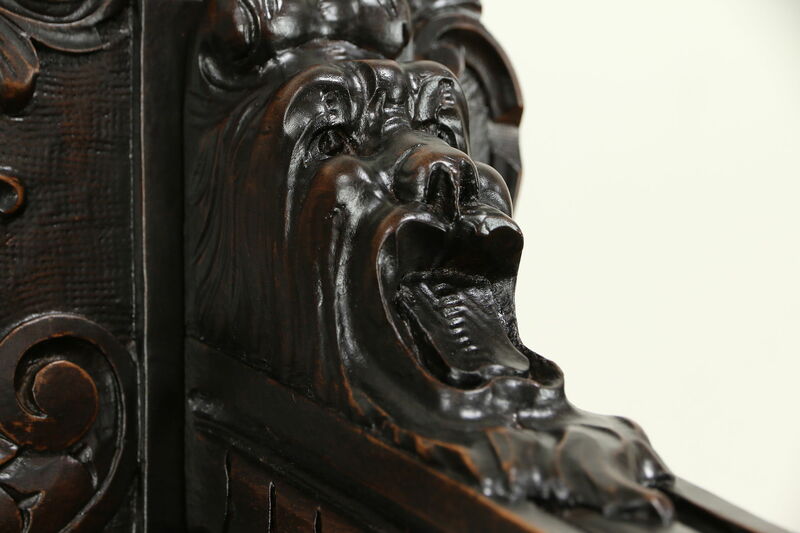 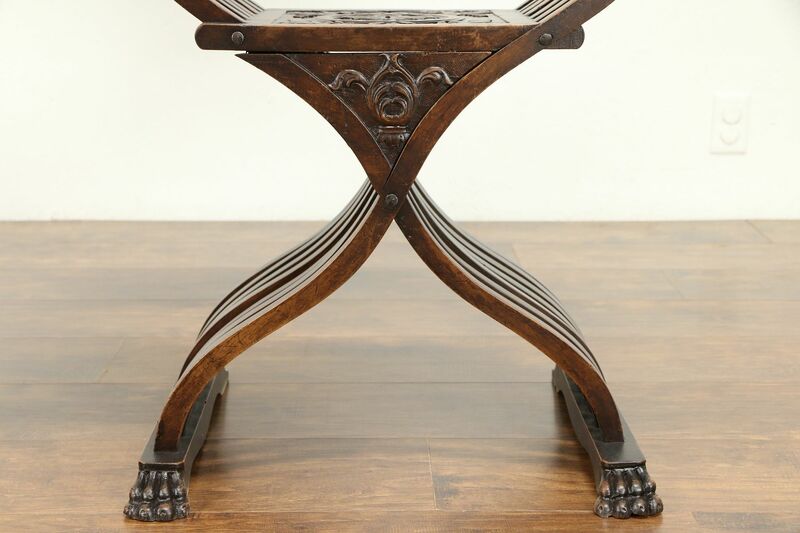 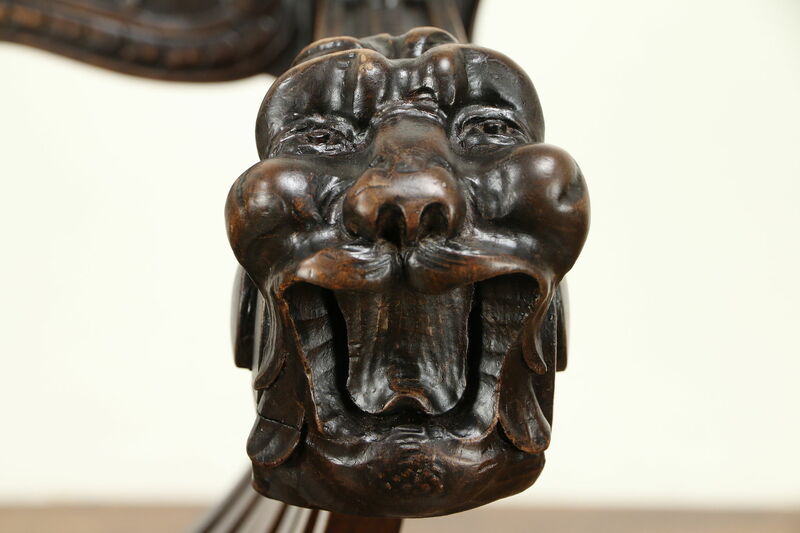 This antique furniture was deeply hand carved of solid walnut in Italy during the 1890's with fine details, sculpted three dimensional lion and gargoyle heads and paw feet. 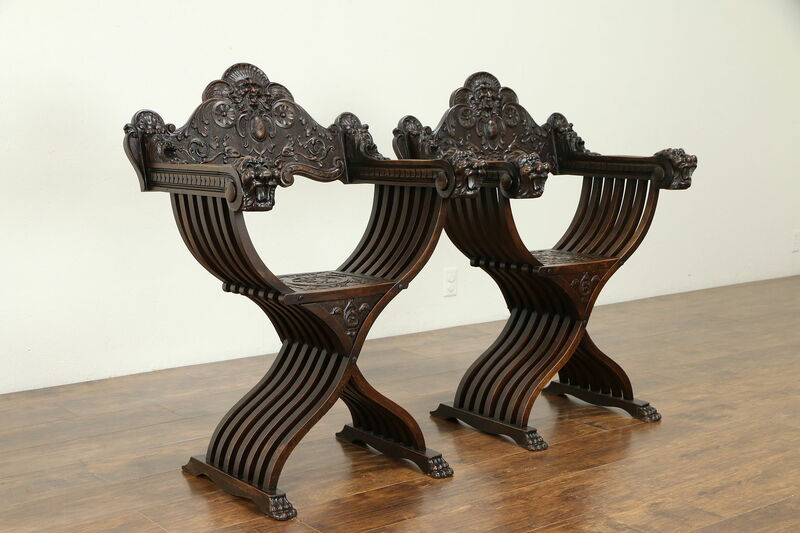 The restored finish is in excellent condition on this historic pair. 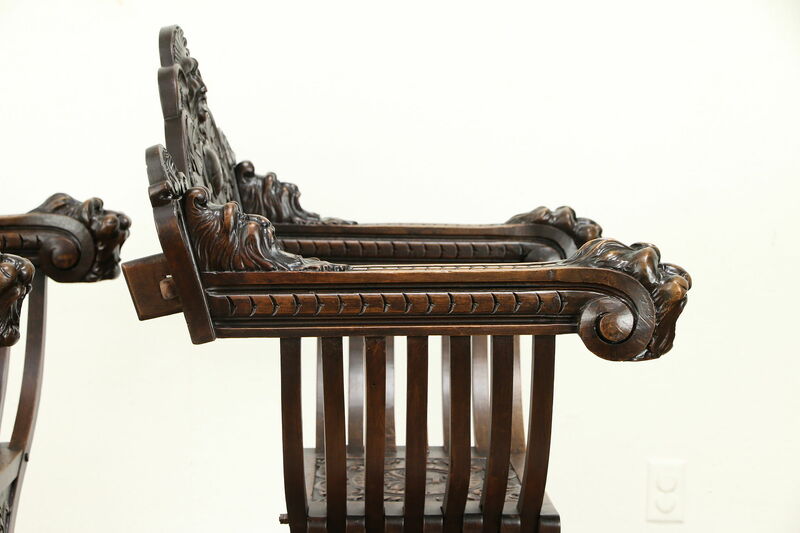 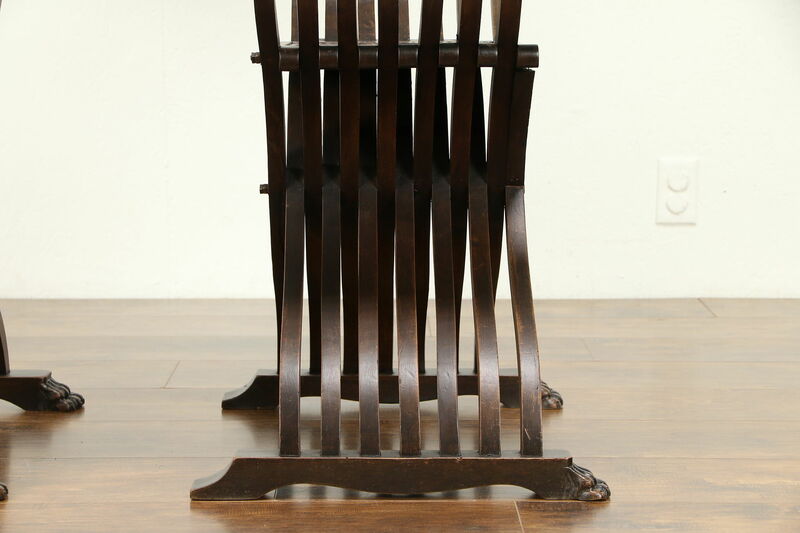 These chairs were often used with a cushion if desired. 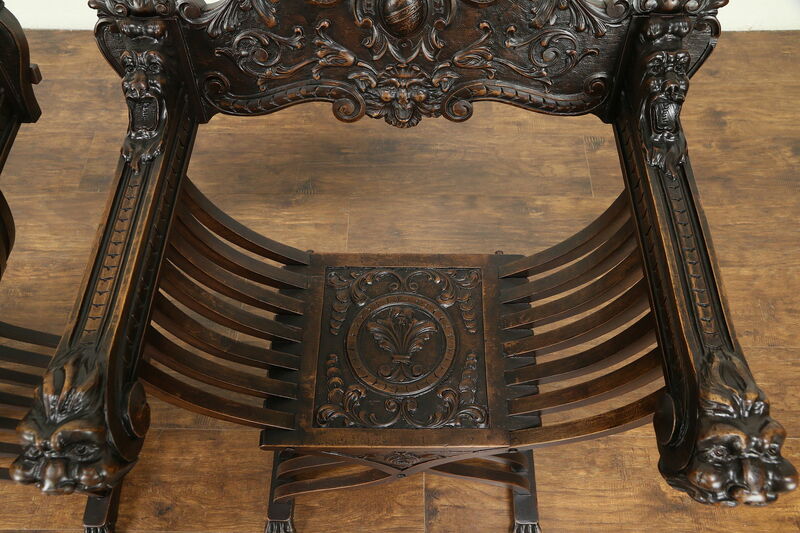 Measurements are 28" wide, 23" deep, 39" tall and the seats are 18 1/2" high.